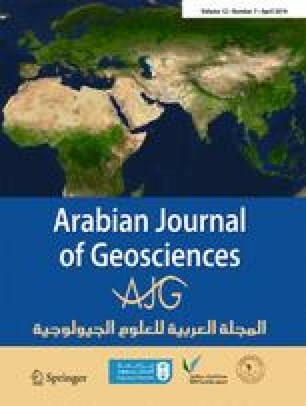 This research displays the influence of geogrid inclusions on the bearing capacity of rigid strip shallow foundations overlying sand dunes. An extensive chain of settings—containing plain fill case—is verified by valuing some factors as first geogrid reinforcement depth, vertical spacing between geogrid inclusions, and geogrid extension relative to the footing width on the mobilized bearing capacity. To achieve the research aims, a group of finite element analysis is carried out to assess the studied parameters. For the purpose of validation; two-dimensional plane strain finite element model is implemented completely similar to the previously built experimental model tests using Plaxis code version 8.2. The soil is represented by Mohr-Coulomb soil constitutive model, and the geogrid reinforcement is characterized by tension elastic elements which have only a normal stiffness. Well matching is detected between the physical and numerical model test results. The results designate that geogrid insertion can severely enhance the bearing capacity of rigid strip footing overlaying sand dunes. Additionally, it is revealed that the load-settlement performance can be considerably improved. The effectiveness of the geosynthetics loose fine sand composite increases to the maximum as the optimum values of the assessed parameters are reached. The authors like to express their appreciations to Eng. Ahmed Gamal for carrying out the experiments related to this paper and to Dr. Ashraf El-Ashaal as a member of the super vision team. Grateful thanks for Construction and Building (CB) Department, AASTMT, Cairo branch, and Structures Research Institute, Ministry of Irrigation, Egypt, for providing a helpful support upon the implementation of experimental phase of this research.